Each of the 88 Soil and Water Conservation Districts in the State of Ohio has a five-member, governing body. The governing body is the SWCD Board of Supervisors and their job is to set the direction for the District staff. Board members are elected to serve staggered, three-year terms. They serve as volunteers and are granted specific powers under Chapter 1515 of the Ohio Revised Code. The Board of Supervisors has the ethical and legal responsibility to ensure that the SWCD meets its mission. They set the District policies for the office procedure, county projects, and public requests. The Board also determines the need for additional staff members, works cooperatively with other agencies and local officials, and assists with the attainment of operational funds. There are twelve monthly board meetings, and a few special meetings throughout the year including the Annual Dinner Meeting, budget hearing with the County Commissioners, and various committee meetings. Many excellent opportunities arise throughout the course of the year that allow Supervisors to attend workshops, conferences, and events on an area, state, or even national level. These opportunities are a great way to learn more about the prominent conservation issues that face the community. The role of the SWCD Board Supervisor is very important. 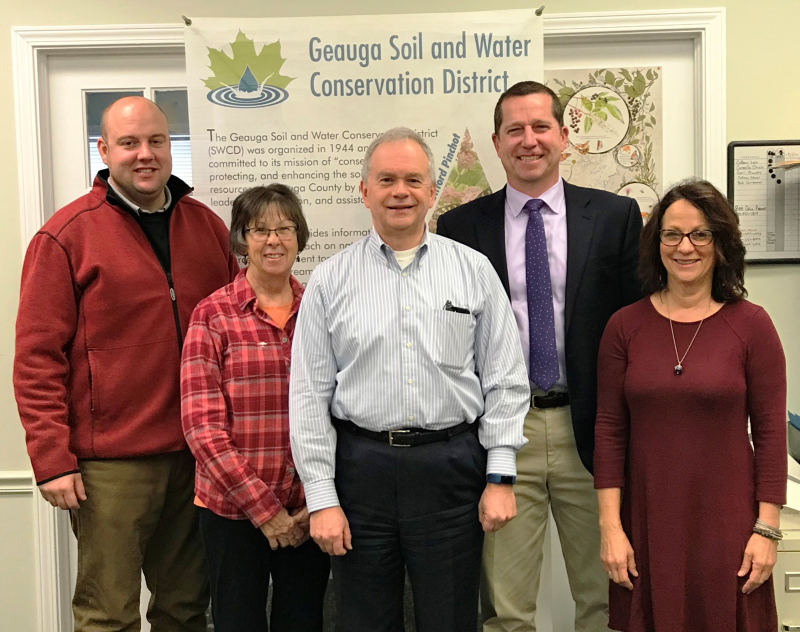 Conservation is a prominent issue in Geauga County and the need for conservation leaders is essential. We encourage county residents to attend the Annual Meeting and vote for board supervisors in order to help protect Geauga County's soil and water resources. Anyone who is a resident of Geauga County is eligible to run for Board Supervisor. If you are interested in being a Supervisor, please send a letter of intent explaining your background and why you are interested in becoming a Board Supervisor. A nominating committee chooses a slate of candidates that are voted on at the Annual Meeting . Either 1 or 2 supervisors are elected to staggered terms each year. If you are not chosen by the nominating committee to be on the ballot, you may fill out a petition and with the required amount of qualifying signatures will be placed on the ballot. Board Chair, Mike Henry, P.E. Mike Henry has served on the SWCD board since 2008 and is currently the Fiscal Agent. Mike resides in Auburn Township with his wife, Michelle, and their two daughters. He is a Professional Engineer and has spent the past 12 years as a partner with Chagrin Valley Engineers, Ltd. Mike has served as a member of the Auburn Township Zoning Commission from 2005 - 2015. He is an avid skier, hunter, and 4-h advisor. Mike is passionate about managing the resources of Geauga County responsibly and with integrity. Nancy has contributed tireless hours to Geauga SWCD in various capacities. She is mostly known for her instrumental development and ongoing involvement in the Wonders of Watersheds summer teacher workshops, which she helped start 21 years ago. She is a retired special needs educator and Geauga County Educational Service Center Administrator. Nancy currently serves on Geauga SWCD's eduation committee, is an Ashland University Adjunct Instructor, and actively volunteers with many organizations throughout the county. Colleen provides administrative support and customer service, as well as heading up many special projects. Colleen is a native Geauga County resident of Newbury. She is a graduate of Newbury High School and attended Kent State University's Geauga Branch in Burton. Colleen has seventeen years of experience as an administrative assistant. Carmella is in charge of office operations and the Urban Program. She is a registered Professional Engineer for the State of Ohio. Carmella graduated with a Bachelor of Science in Civil Engineering from Cleveland State University, then moved on to earn her Master's degree in Hydrology. Carmella previously worked at the Geauga County Engineer's office. Bob provides technical assistance for homeowners and conducts construction site inspections. He is a graduate of North Carolina State University with a BS in Horticultural Science. His professional experiences include agricultural research greenhouse manager and field specialist, ornamental nurseryman, golf course construction, and landscape maintenance. Gail provides presentations for all ages, workshops for adults, assists with public outreach and information, and offers assistance with managing and sustaining our natural resources. Previously, she has worked in environmental education for the Tuscarawas County Park Department, Athens SWCD, Burr Oak State Park, and Nature’s Classroom Outdoor Education Program. 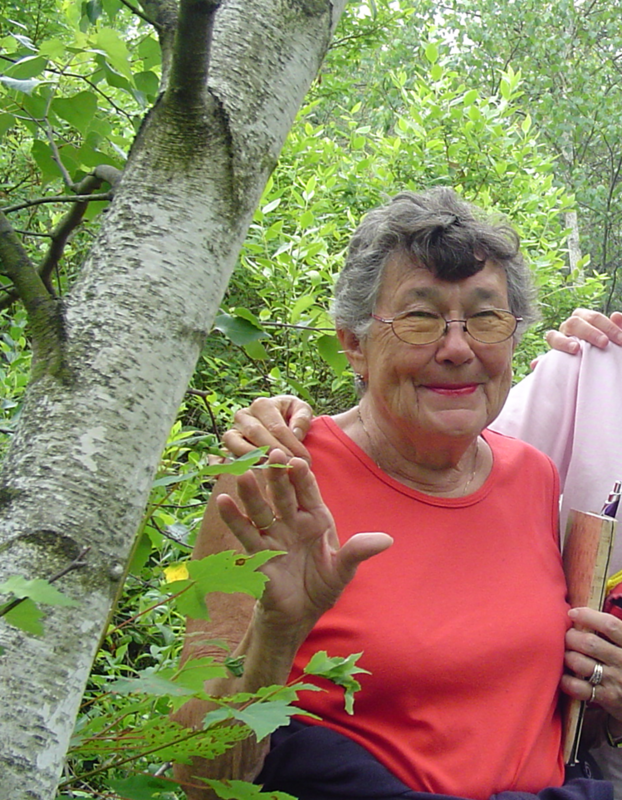 Gail has an Associate Degree in Natural & Cultural History Interpretation from Hocking College. Katie assist with education programming and coordinates special projects including the Envirothon, Watershed Ripples newsletter, conservation poster contests, and education brochures. She also aligns District programs to Ohio's current science standards and serves as a council member for the Western Reserve Resource Development and Conservation. Katie received her degree in Wildlife Management and Interpretive Services from Hocking College. She previously worked at Lake Metroparks Wildlife Center for 12 years as the Wildlife Education Coordinator. Colleen assists with mitigation sites owned by Geauga County, conducts stream and wetland assessments, inspects construction sites, and manages the GIS storm sewer outfall database for the County. She received her Bachelor of Science degree from Cleveland State University in Environmental Science and then went on to earn a Master of Science degree from the University of Akron in Biology. Colleen's past experience consists of various internships including environmental education, stream evaluations, wetland assessments, and conservation easement inspections. She has also conducted various studies and research with amphibians and water quality. Jonathan is the District Conservationist for the USDA Natural Resources Conservation Service (NRCS), working cooperatively with Ashtabula, Geauga, and Lake Counties. His office is in Orwell and Jonathan can be reached at (440) 437-5888 or Jonathan.Mauk@oh.usda.gov.